VERDELDO, a grape variety with roots in Portugal, now shines in the Overberg. Arcangeli Feiteiras Verdelho 2016, made from a tiny 16 year old block of Verdelho vines, top scored at the Winemag Alternative Variety Report 2018, while it fought off other unusual white wine varieties such as grenache blanc, viognier and pino grigio. 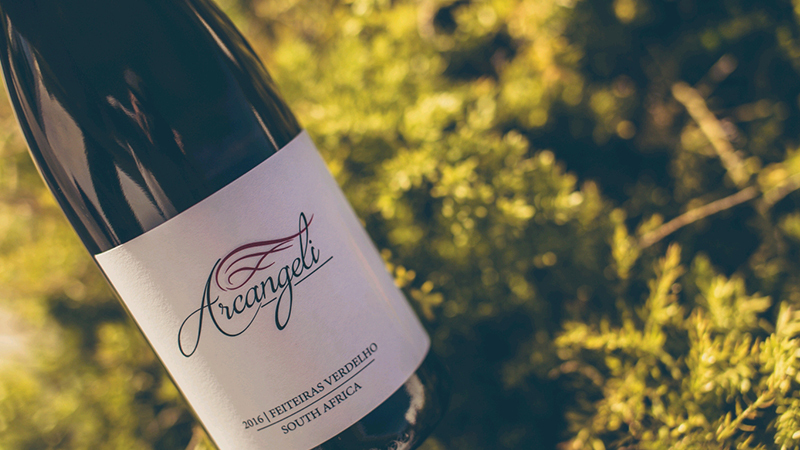 The Arcangeli family acquired the 16 hectare Feiteiras farm in Botrivier in 2015, renamed it to Arcangeli Wines and made their first wines the year after. The Arcangeli portfolio includes Arcangeli Romulus Nebbiolo, a Semillon, a Syrah and Mourvédre blend, and a Merlot based blend. Wines made from Verdelho show a mineral character with a steely acidity. The people of Portugal usually enjoys verdelho in a lighter style, which is ideal to pair with their Mediterranean fish dishes. Arcangeli Feiteiras Verdelho, however, is made in a more serious style, with more apparent texture that is usually expected of a white wine. “The wine is inspired by the famous Spanish wine Viña Tondonia of López de Heredia, and made in an oxidative style by fermenting the juice in old 300 liter barrels with a 12% skin contact component,” says wine maker Krige Visser.